Studying abroad can change your life. It provides an opportunity to meet new people, challenge your world view, immerse yourself in a different culture, and gain valuable experiences that will shape the rest of your life. There are almost endless options when it comes to finding a study abroad program. You can find a program that meets your academic, personal, and professional goals. With the right program, you can earn academic credits toward your degree so you can graduate on time. Financial aid can apply to many programs. The cost of studying abroad can be comparable to the cost of studying at Hope. It takes time, planning, and the coordination of numerous departments on campus to make studying abroad happen. Begin the process at least one year in advance. Your first step is to use the Find a Study Abroad Program page to research programs online. Information is also available in the International Student Programs Office. Come to the International Student Programs Office and speak to your Study Abroad Coordinator to find out what steps you need to take and to guide you through the essentials. We are here to help you create the experience of a lifetime! Judy has been in the International Student Programs Office since 2010. She has been the Study Abroad Coordinator since 2012. 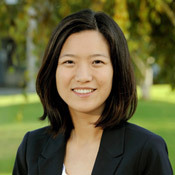 After graduating from UCSD with a degree in Psychology, Judy traveled to China to teach English. That experience guided her decision to work with international students and now to help domestic students travel abroad so that they can broaden their horizons and be transformed. She encourages every student to pursue studying abroad. There are hundreds of study abroad programs. Use the online tools below to find one that suits your academic and personal goals. It is important that your study abroad program be approved by HIU so that you can maintain enrollment as a Hope student, utilize Financial Aid, and transfer credits to Hope. BestSemester programs are off campus study programs offered by the Council for Christian Colleges and Universities (CCCU), and are good options for Hope students. Many of the programs offer service learning and internship opportunities. BestSemester programs are approved by Hope. BestSemesteTM, a division of the Council for Christian Colleges & Universities (CCCU), proudly offers twelve off-campus and study abroad programs around the world. BestSemester programs are intended to complement and expand the opportunities found on a traditional campus through a comprehensive experiential learning approach. 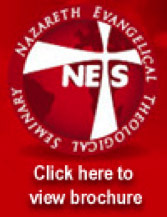 The NETS study abroad in Israel program is available in a twelve (12) weeks “semester” format to qualifying Biblical Studies and Church Ministry majors or in a 2 to 3 weeks inter-term program for qualifying students of any Hope major. If you find another program that you are interested in, speak to your Study Abroad Coordinator to see if the program is approved by the University. If it is not an approved program, you must begin the approval process well in advance of your intended start date. Dongseo University is our sister university in Busan, Korea. The Global Division of Dongseo offers a wide variety of courses taught in English which are designed to broaden students' perspectives on global issues. Dongseo also offers a Korean language program in which students can take Korean language and culture classes and participate in various cultural experiences. Keimyung University offers many courses in English for international students as well as extracurricular programs that can help students learn about Korea. Keimyung University is located in Daegu, South Korea. Myongji University is a vibrant university in the capital city of South Korea. Myongji offers a variety of classes in English for students who are interested in study abroad during their undergraduate and graduate years. The Living & Learning Semester program offers internship, missions, ministry opportunities, and academic courses from a Christian worldview within the context of the challenges of a developing nation. Recipients of the Federal Pell Grant are eligible to apply for this scholarship. The Gilman scholarship is sponsored by the Bureau of Educational and Cultural Affairs. Students who are interested in less commonly taught languages in Africa, Asia, Central and Eastern Europe, Eurasia, Latin America, and the Middle East. Undergraduate students can receive up to $20,000 and graduate students can receive up to $30,000. Deadline: January for graduates, February for undergraduates.